The EU Referendum is a complicated business; almost as complicated as installing a brand new industrial floor in one of the busiest precision stampings factories in Europe, without switching the machines off. 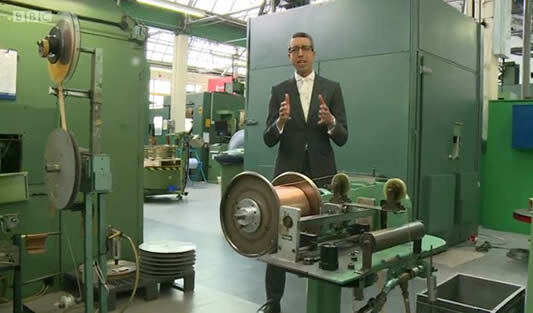 So when BBC News at Ten visited our good friends and colleagues Brandaeur to discuss the economic implications of Brexit, it was lucky that Ecotile was on hand to ensure there were no slip ups. 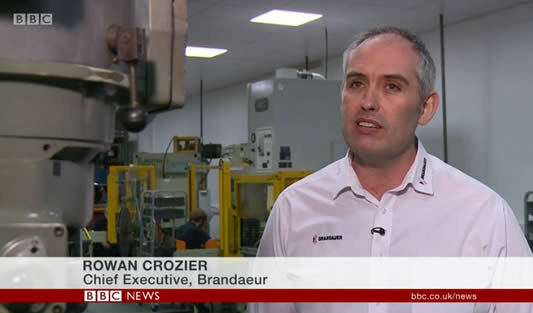 Thanks to our heavy duty flooring, the BBC News crew had a solid platform from which to produce their excellent and informative interview with Brandaeur Chief Executive Rowan Crozier. Brandaeur is one of the largest manufacturers of precision metal components in Europe and a true gem of British Manufacturing. It was a thrill to see our interlocking floor tiles take centre stage, and we must admit they were looking every bit as good as when we first installed them. As flooring experts we think it’s always important to know where you stand on the big issues of the day, and no-one appreciates the importance of providing British Industry with excellent foundations and a level playing field as much as we do. With the vote still some way off, we are all hoping for a swift, speedy and decisive resolution so we can all get back to the business of exporting our world class products to Europe and the World. To find out more about the great work being carried out at Brandaeur visit their website. We’ve included some of the images here for you to enjoy.